. إن الخدمات الممتازة وحسن الضيافة العالي في منتجع مارلن كوف هوليداي تجعل إقامتك تجربة لا تنسى. لضمان راحة ضيوفه، يقدم الفندق الخدمات التالية: واي فاي مجاني في جميع الغرف, مرافق مخصصة لذوي الاحتياجات الخاصة, تسجيل وصول/خروج سريع, تخزين الأمتعة, واي فاي في المناطق العامة . يمكن للنزلاء الاختيار من ضمن مجموعة من الغرف المصممة بعناية لتعكس جواً من الراحة، والتي يتجاوز عددها 98. يمكنك الاستمتاع بالأجواء المريحة التي تقدمها ساونا, حمام سباحة خارجي, سبا, تدليك, ملعب تنس طوال النهار. اكتشف مزيجاً ساحراً من الخدمة الاحترافية والخيارات الواسعة من وسائل الراحة والمتعة في منتجع مارلن كوف هوليداي. All is there, space for 2 Family, absolutely calm and quiet we enjoy it so much. only 5 minutes to the beach or Shopping mall -> perfect ! My husband and I booked for 3 nights and ended up staying longer. Everyone else who stayed seemed to be doing the same. Both pools were being cleaned each morning and were lovely. There was a games room and several bbqs to use. The apartments were clean, spacious and well equipped. There were two little wallabies in the gardens in the mornings which was an added bonus. 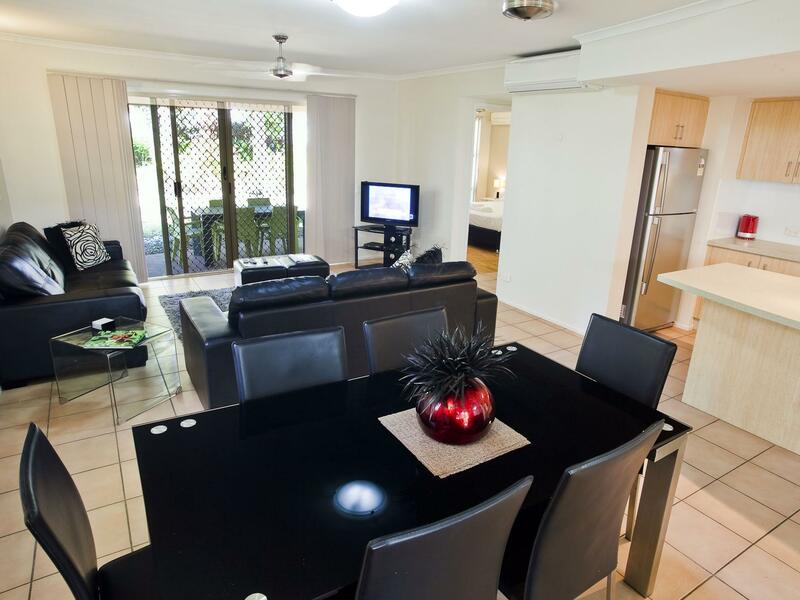 We were close to trinity beach and a short drive to palm cove, clifton village and Smithfield shopping centre. 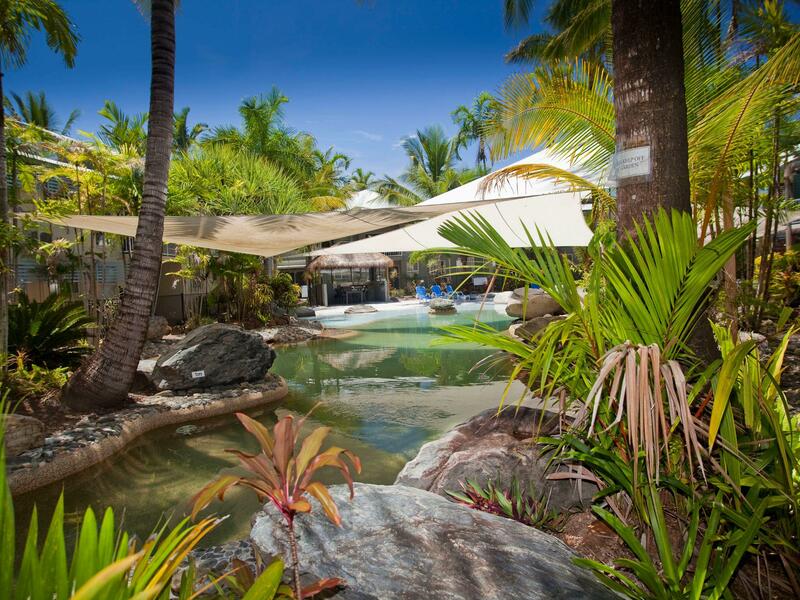 The staff were very helpful in recommending trips. I would definitely go back and highly recommend it for families and couples. If I could give it 6 stars I would. The toilet is not clean and the sewer in the shower room is a bit clogged. It takes about 30 minutes to drive from the city center. There are a lot of fallen leaves in the small swimming pool. The other beautiful swimming pool on their introduction, we could not find it. 2 days of accommodation did not see a staff member. Clean and modern apartment but no condiments at all in the kitchen such as salt and pepper! Setting and ools were lovely. Other facilities required access to office which wasn’t open when we needed access, which was disappointing! Great location, close to beach, restaurants and few minutes to shops. Pool and tennis courts well maintained and booking and raquets excellent. Only comment is a starter pack with milk,tissues, and a few basics would have been helpful after flight. Would recommend trinity beach and this accommodation to families of all ages. 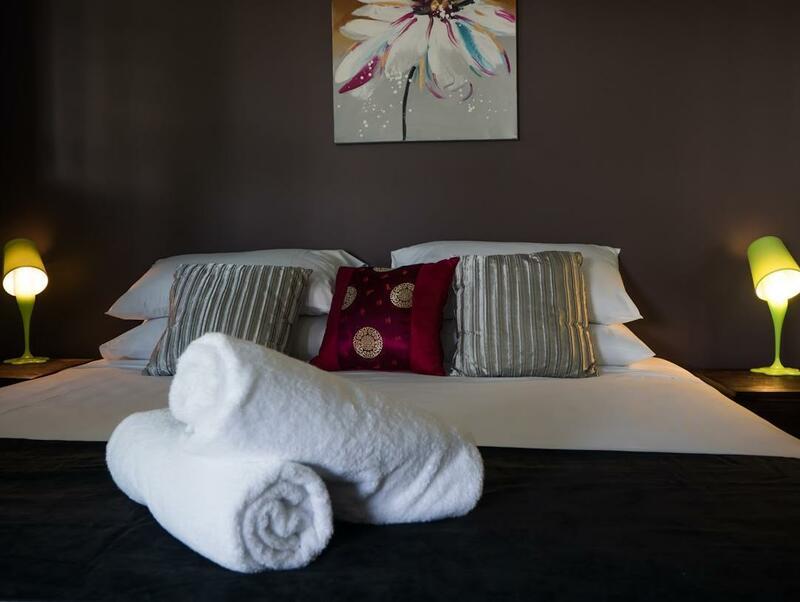 Perfect convenient location, practical and a short drive to all the sights, restaurants or beaches, five minute walk for morning coffee or breakfast. Clean and comfortable, only minor issues TV remotes useless, cold main pool and sprinklers waking you in the middle of the night. Great Aussie feel BBQing and wallabies grazing nearby and watching. Already recommended to work friend for her trip. Well done Marlin Cove Resort, nice quiet, leisurely holiday . Clean units and quite location. Design of apartment very ergonomic. Would like the details of whoever designed it to have on file, should I ever need someone to do a house for me. The apartment fit-out was awesome too! I wanted everything that was in there, the stools at the breakfast bar, the hanging hooks in the bathroom for towels/clothes were placed in the right spots! That was specifically apartment 255. 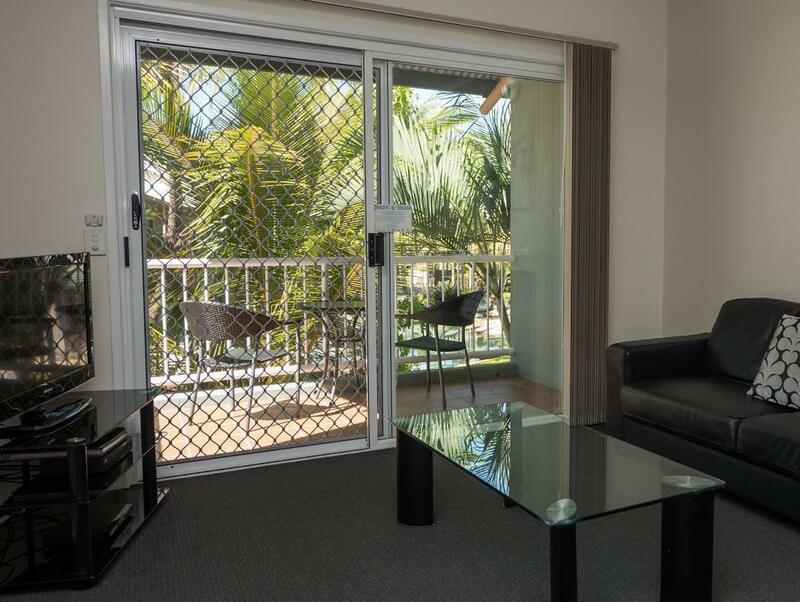 Quiet location, 2 bedroom superior apartment spacious for 2 adults and 2 kids (15yrs and 13 yrs), all amenities as advertised on website, electric BBQ in pool area good, lagoon pool cold, heated lap pool good in July, wild wallabies at resort cool. Wifi worked well however only one device included, more devices extra cost. We booked a 2 bedroom apartment because it was as cheap as a single bedroom apartment. It was beautiful. 2 Bedrooms, 2 Bathrooms, full kitchen, separate lounge and dining room. Washing machine and dryer. The apartment was spacious and clean, and had very modern furnishings. Also has a lovely pool area, and well maintained gardens. I would recommend staying here. We will be back and stay here again. The accommodation was fantastic; great location, facilities & staff. Wallabies roamed free and were a delight. The lagoon pool was beautiful. The lady on reception was very welcoming and accomodating, she was even lovely when we locked ourselves out on her day off - sorry! Little touches like a carton of milk, coffee etc were available, along with sachets of washing up liquid which made a big difference. Thank you! Much better than expected. The only thing it was lacking was a casserole dish, otherwise the kitchen was very well equiped. The kids enjoyed the local wildlife, including a frog that visited us every day. Great bbq (free) facilities available at different locations. Used the lagoon pool, well looked after. Would definitely stay here again if we visited the area again. Our agenda was quite full, and check in was late, the kindly staff put envelop at the front door and leave the information to open the safe underneath and got our key. for early check out we just put the key on the kitchen bench then we just left. every thing was so smooth but shame we haven't got chance to meet the staff, only talked thought the phone, and she is a lovely lady. Everything is fine, close to a lagoon, quite and beautiful. walk to the restaurant nearly by is just less than 5 minutes, then another few minute to the beach. very good location. 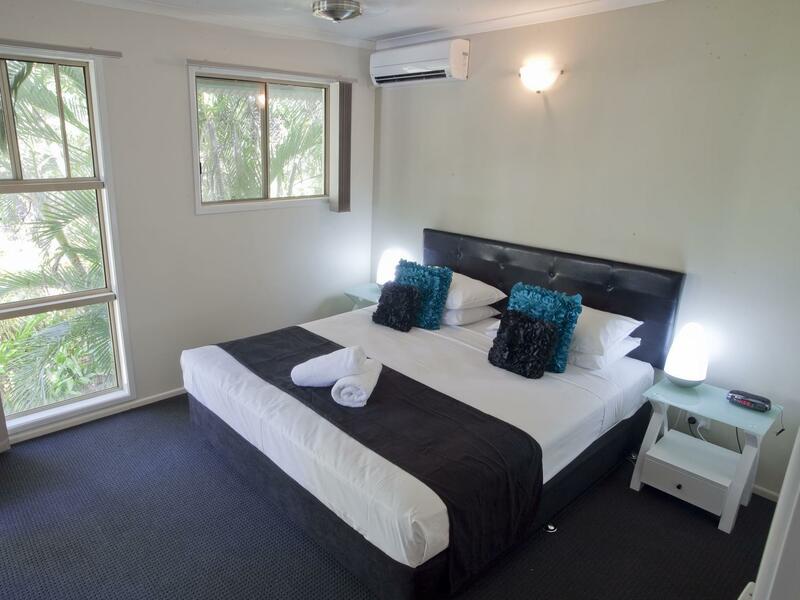 Room was lovely, 2 bedroom with 2 bathroom is what we like during the vacation, the balcony is big and overlook the garden, can easily spot a wallaby during night time in the garden. pool was quite, except a little cold in the lagoon pool. the lap pool is warm, it would be perfect if it's bigger. Couldn't recommend marlin cover resort more! The apartment was well set out and close to the pool. Very clean, and so much was supplied from our own laundry down to Tupperware which came in handy for all our day trips! Incredibly peaceful, me and my partner couldn't believe how lucky we were to score such great accommodation. Having the self serviced apartment made our holiday so much easier when it came to planning our days. We will definitely be returning for our yearly trips for now on! Couldn't recommend this place anymore. Thanks Marlin Cove! It was amazing! I flew in at 4am and I rang to see if I could get in a tad earlier. The staff were so kind they were able to get me into a room as soon as I got off the plane! The room was accumulate, the pool was amazing and staff were so accommodating! Definitely will be returning!